One of the things that I love most about the holidays is spending time with my family. What I also love about the colder months is hot chocolate. Growing up. My Mom would always make us a cup of hot chocolate. Of course, I loved it topped with marshmallows and/or whipped cream. Something about the yumminess the cups provides while staying warm and enjoying the company of your family. Of course, I try to create those same memories for my family. On a whim, I asked Michael if he wanted a cup of hot chocolate. I went to the kitchen and to kick it up a notch. I decided to add Nutella to the rim as well as inside the mixture and thought it would be pretty cool to share with you guys how to make it for your family. Turn off the heat, and while the mixture is cooling decorate your cup. 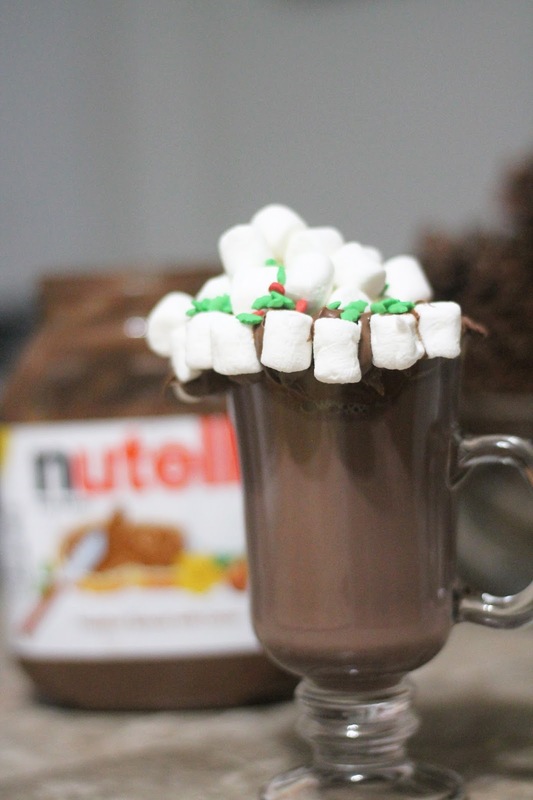 You can add Nutella to the whim or pour in the cup and enjoy. I am just thinking about the Nutella and the marshmallows i have on my kitchen. I am sssssooooo trying this. Nutella is my absolute biggest guilty pleasure and I love it any way I can get it! I actually had to stop keeping it in the house because I would go through one of the big jars in a week just by dipping a spoon in it every night! LOL! Thanks for sharing this recipe. It looks blissful. I pinned it so I try it myself! I really didn't need another reason to love Nutella! This looks so yummy. I had to stop buying the jar and start buying the little packets for portion control. Thanks for sharing! Nutella is ridiculously addictive. I remember when they were first start out they sent you a sample by mail. My littlr sister loves nutella. I skipped it coz its too sweet for me. I'll make this recipe for her. 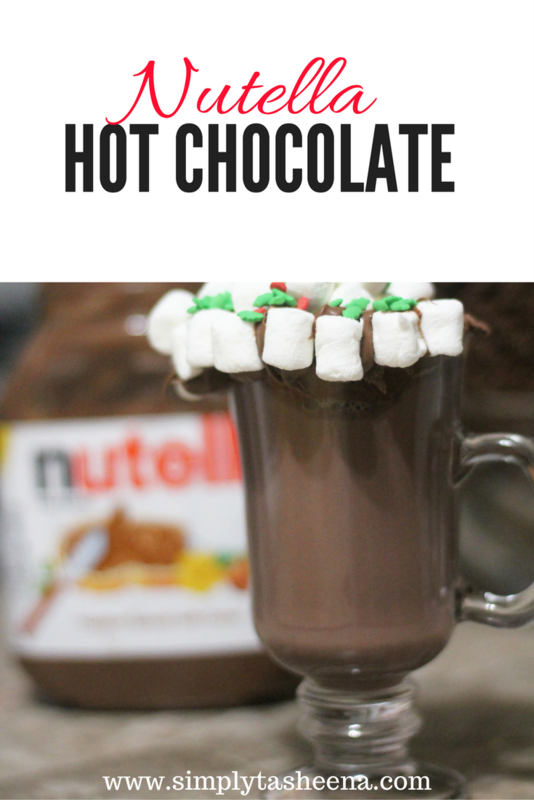 I love hot chocolates and your Nutella hot chocolate looks divine and just perfect for this Holiday season! I'd love to try it this weekend! Thanks for sharing the recipe with us!